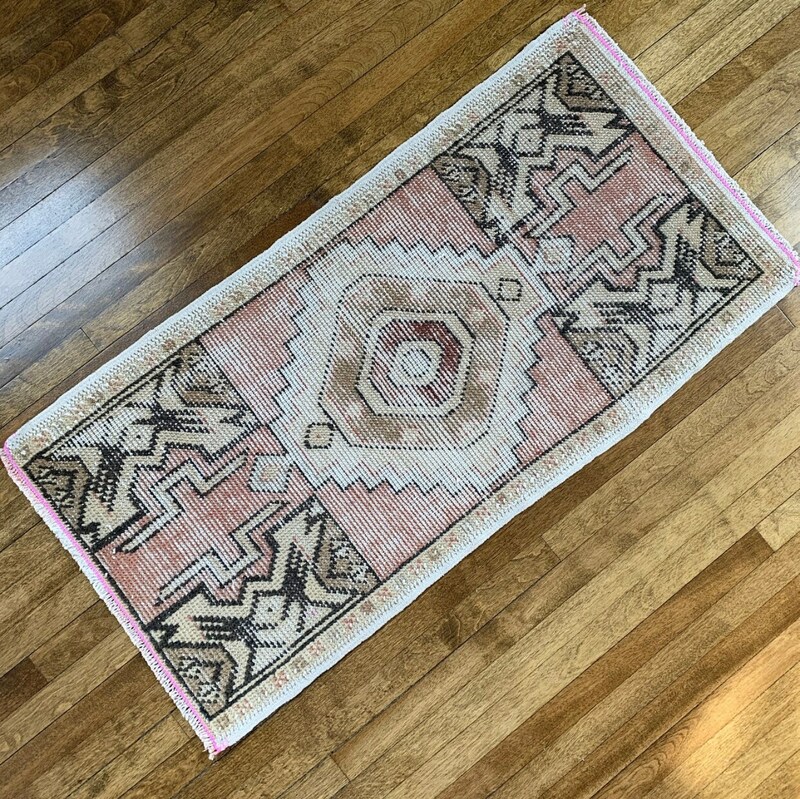 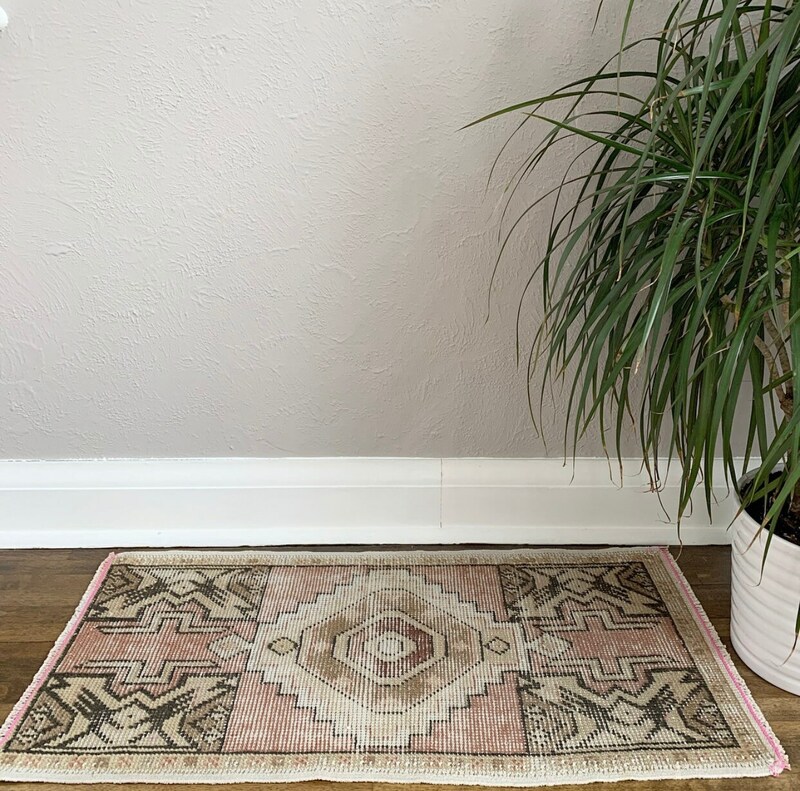 A very sought after contemporary vintage Turkish rug in pink, beige and taupe! 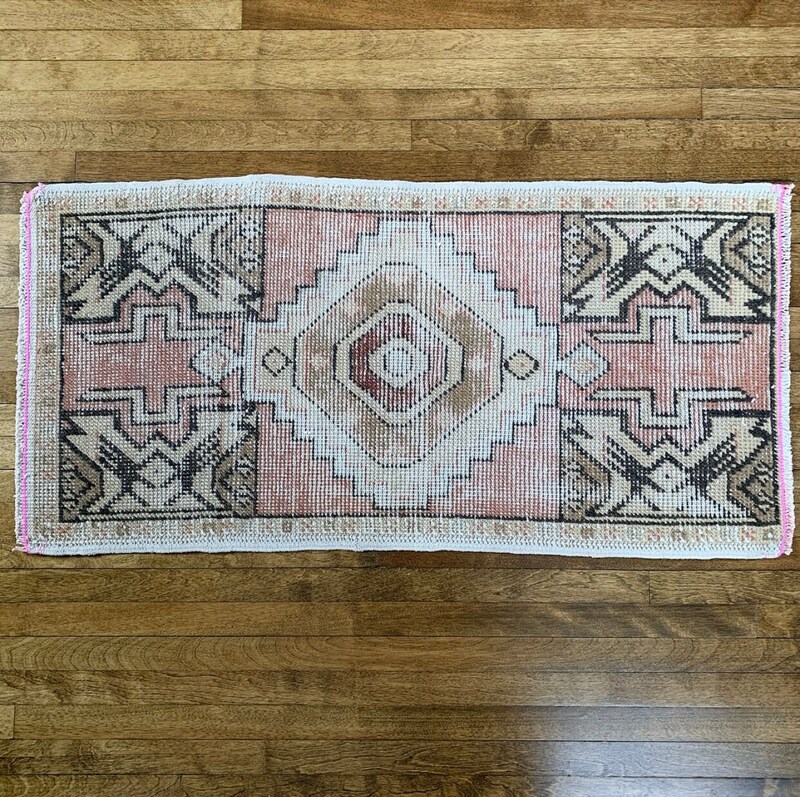 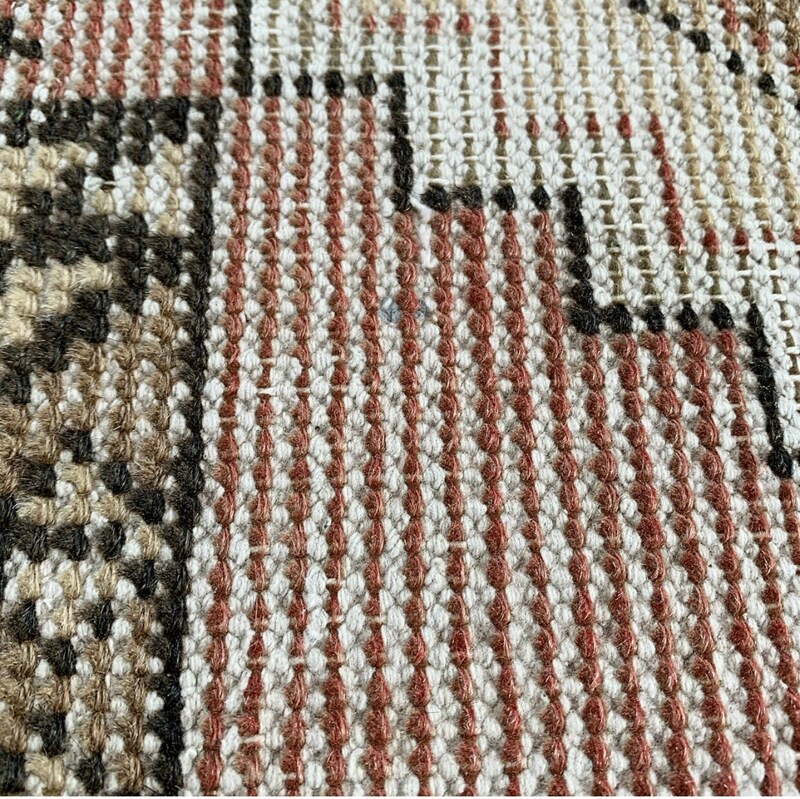 This mini Turkish rug was hand-knotted in the 1940s and is in good vintage condition with a beautiful fade pattern. 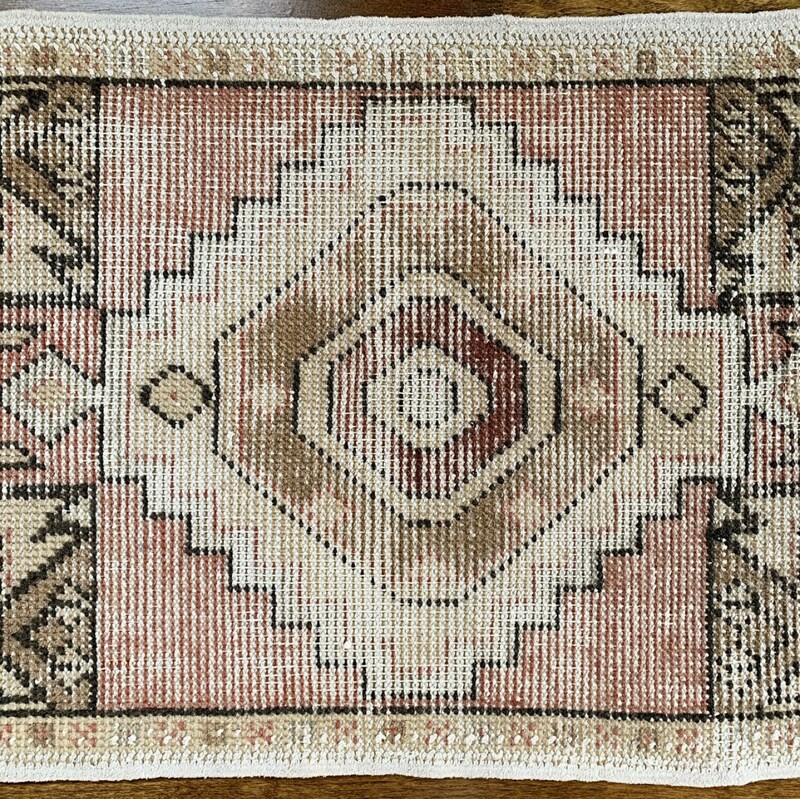 The pink is a dusty rose coloured pink, with a neutral beige-coloured background with taupe and muted maroon centre medallion details. 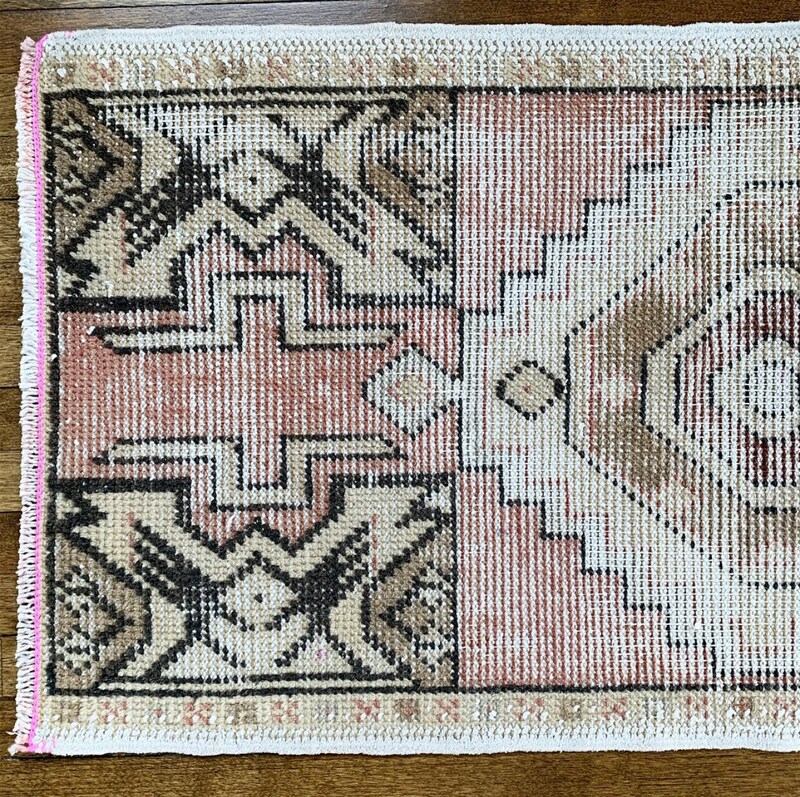 The ends have a hit of bright pink embroidery.